I get a lot of confused looks when I mention Clean Eating to people. I can just imagine what’s going through their heads…”she wants me to wash my food? Perhaps spray on some kind of cleaner-like windex? ?” No, not at all! What is Clean Eating? Well, Clean Eating is simply the idea of eating food that is in it’s original, natural form-unprocessed or very minimally processed. What does ‘processed’ mean? The definition varies slightly, but it’s generally any food that has artificial ingredients and generally comes in a package, box or bag. The most obvious examples are frozen ‘tv’ dinners, deli ‘meats’, Velveeta ‘cheese product’ and sodas. The most obvious exceptions are things like plain, uncooked dried beans, or a ‘package’ of fresh lettuce. There are many more, but hopefully you get the idea. Click to Download the Clean Eating Commandments! Remember, it takes 80% Clean Eating nutrition to build your ideal physique. 10% is dependent on your cardio and weight training regimin and the final 10% is genetics-thanks mom and dad!! While it’s true that clean eating takes a little more time to plan and prep, it, like anything else, is easy…when you know how! If you aren’t currently engaged in one of my fitness or Clean Eating Challenge Groups, you can learn more about how to make Clean Eating EASY to incorporate into your daily life by joining one of my next groups! You are welcome to contact me with questions or for more information-always happy to help! Have you heard of the Shakeology Cleanse? Recently, many people have been seeing excellent results with the Shakeology cleanse. I know that I am asked frequently what is it and what does it entail? Shakeology is a complete meal replacement shake that was designed to be used once a day. For the Beachbody Shakeology cleanse however, it will be taken once a day for 3 days. When I returned from a vacation in Cabo I realized that I had over-indulged in my food and cocktails so when I return I obviously felt bloated and aweful. I was ready to get back on track and some fellow Beachbody Coaches were talking about a 3 day Shakeology Cleanse. I thought EEKS a Cleanse? That sounds so scary, but then I looked at the meal plan and I knew I wouldn’t be STARVING myself with this. Since I already had Shakeology on hand I knew this was a must. When I completed I had dropped a couple pounds but most importantly I felt so good!!! Ready to push play and get my workout program back on track. A fellow beachbody coach outlined the entire Shakeology cleanse on her blog and even gave some sample testimonies. If this sounds like you and are curious about doing it or even joining one of my Clean Eating Challenge groups? Message me for the details. What is the Shakeology Cleanse and What makes it different from other cleanses?!? What makes the Shakeology Cleanse stand apart from the others is that the Shakeology cleanse is not a true “cleanse”. 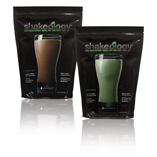 The Shakeology Cleanse is a calorie restricted, nutrient rich cleanse. There are no strange drinks made of maple and lemon or apple cider. With Shakeology you will be satisfied and you won’t be a zombie or feel like you are starving your body of vital nutrients, because you aren’t! The main point of the Shakeology Cleanse is not calorie restriction but nutrient richness. The aim is to get the most nutrients into your body with the fewest calories consumed. These calories are to fuel your workouts and rid the body of toxins and hydration into homeostasis. The result with this cleanse to have your body run more efficiently and the weight loss is just an added benefit that most experience (you can lose anywhere from 3lbs to 10lbs in just 3 days!!). How does the Shakeology Cleanse work? With the Shakeology Cleanse your daily food structure remains close to the same as you’re everyday eating. You will still be eating every few hours with meals that are balanced and nutrient rich which will make up for consuming fewer calories. This means that you can still continue with your workout routine. Adding fruits, nuts, seeds, and the Shakeology fiber supplement can be done as you see fit. Your one solid meal a day, your salad, can also contain fruits, nuts, and seeds, legumes, and veggies along with four ounces or less of a white protein. The point is to keep you satiated and to avoid anything that is artificial – including your salad dressing. The Shakeology Cleanse is designed to optimize your body’s performance. You want to have enough food to fuel your day and your workout. By eating foods that are high in fiber and nutrients it is virtually impossible to overeat. With the high fiber, digestive aids, and enzymes, your body will be ridding itself of excess food and fat and flushing out waste. Once again, this cleanse is meant to be done in conjunction with your regular fitness routine but best to schedule during your recovery weeks if you are doing an intense program like P90X or INSANITY. It is also a GREAT way to jump-start ANY fitness routine and weight loss by doing the cleanse the week before you begin and getting your body healthy! First, most people WILL lose some weight but weight loss is not the goal of the Shakeology Cleanse. People with a lot of junk in their systems tend to lose the most weight from this cleanse. If you’ve been eating clean then there are less toxins and food left in your system to be rid of. While you may not lose much weight while doing the cleanse, your body will be ready to lose once you have finished and continue your fitness program. Cleanse no longer than 3 days. Yes, some people see results in 1 or 2 days! It is NOT recommended doing the Cleanse for longer than 3 days! Should I/Can I take other Beachbody supplements during the Cleanse? $45 per 3 day cleanse plus shipping.